Remember that modular education laptop which I scooped earlier this week? One Education sent out a press release today with the the news that it is working on a modular laptop. They also gave an exclusive interview to the Sydney Morning Herald. Pretty much everything I wrote about the XO Infinity on Wednesday was accurate. The XO Infinity does exist, it is modular, and it looks exactly like the leaked renders. Or rather, the XO Infinity will look like that when the first prototypes arrive later this year (the first shipments are scheduled for early next year). 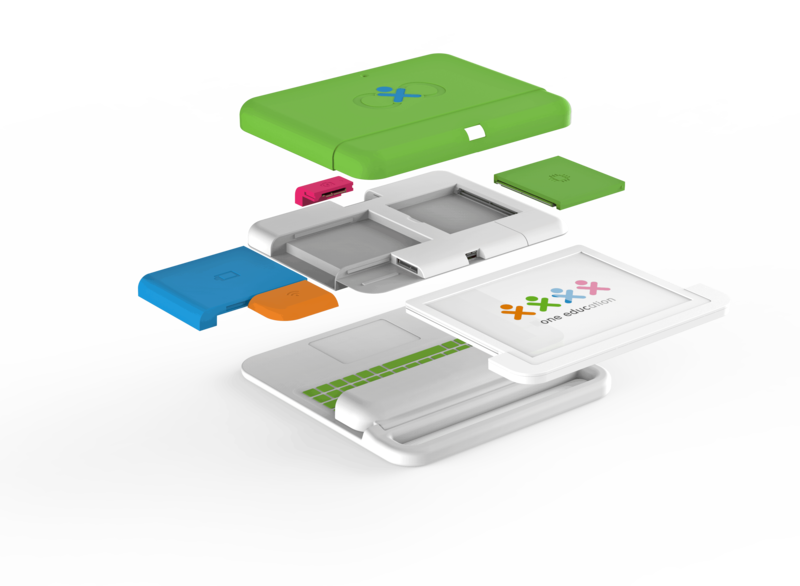 According to the details shared so far, the XO Infinity is designed to grow with the student. It's simple enough that a 4-year-old can assemble one, and as the kid grows and parts break, new parts can be swapped in. A child can start with just the tablet component, and as they progress academically they can be issued the keyboard component. And as their needs expand, they can swap in a faster CPU, better screen, or additional storage. When the XO Infinity is released, One Education plans to offer multiple OS options, including Windows, Android, Sugar, and Linux. Many details, including partner tech companies, possible screen tech used in the display module, and even the CPU, are apparently still up in the air (I asked). This is going to be a nifty gadget when it is finally available. But right now, it's still just a great idea. But at least now we have a better idea why One Education decided to develop it. As they see it, the current ten-year-old XO laptop project has reached the end of its life cycle, and since development has largely stopped (I share that opinion) One Education decided to step in and come up with a new and better design. That is going to be the XO infinity, or so I hope. But one thing they haven't done (yet) is come up with funding to make it. One Education plans to launch a crowd funding later this year campaign to raise money.